Fruit lovers rejoice when temperatures intensify and Thailand’s markets and stands burst with gorgeous harvests. With our comprehensive guide, your feasting on fruits awaits. 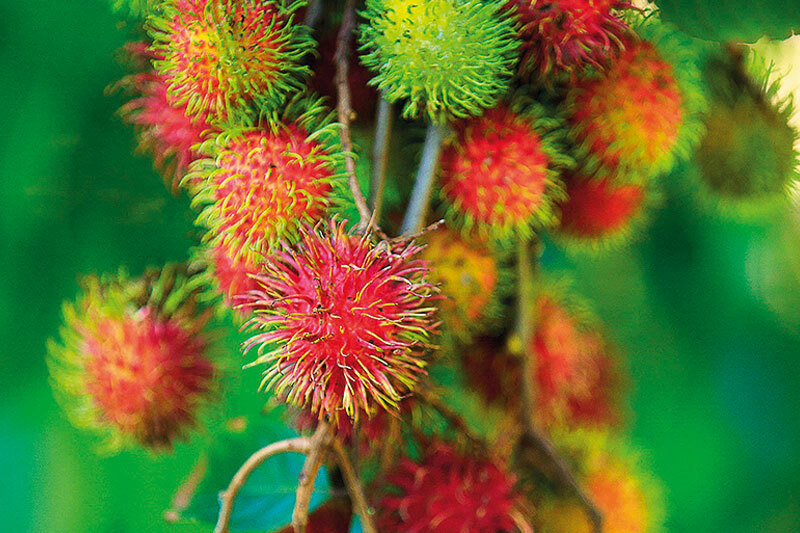 Look up and you may see a branch of rambutan handing in invitation to be eaten. Look again and encounter a fruit stand with the sweetest mangoes of the season. 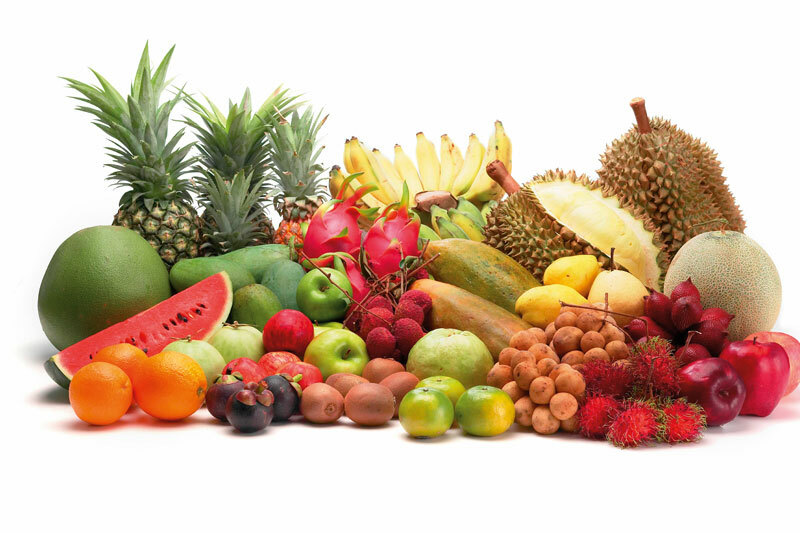 Look ahead and a fruit truck is piled high with durians and mangosteens. Everywhere are the jewels from the fruit orchard. People in Thailand who love their fruits express their joy during this significant fruit season. A dizzying succession of summer produce means that one can enjoy fruits like the Thai langsat and its twin, the longkong (lanzones). Car caravans come from neighbouring countries so that large families can come to enjoy the fruits. Also, the art and technique of peeling and presentation of a fruit are equally important, not just the taste at peak ripeness. 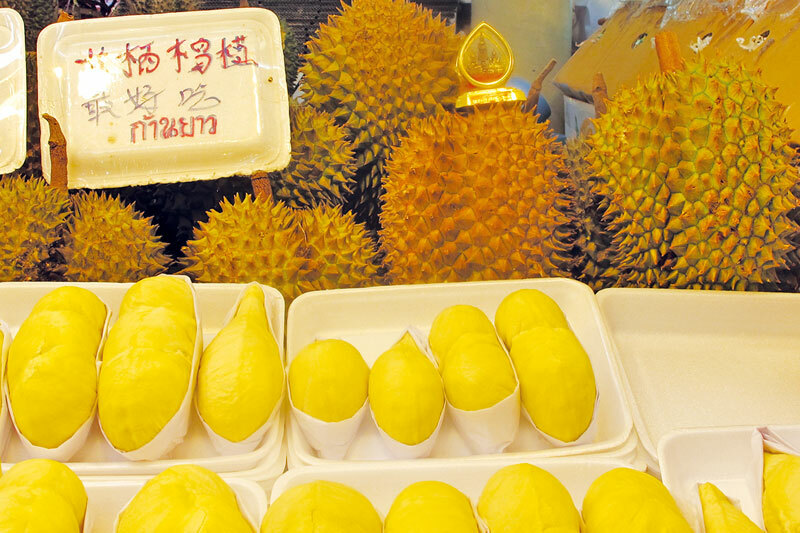 Now in May and June, the pickings are especially abundant Easing into the peak of the beloved mango or ‘mamuang’ season, other ambrosial ‘stone fruits’ come into the market. 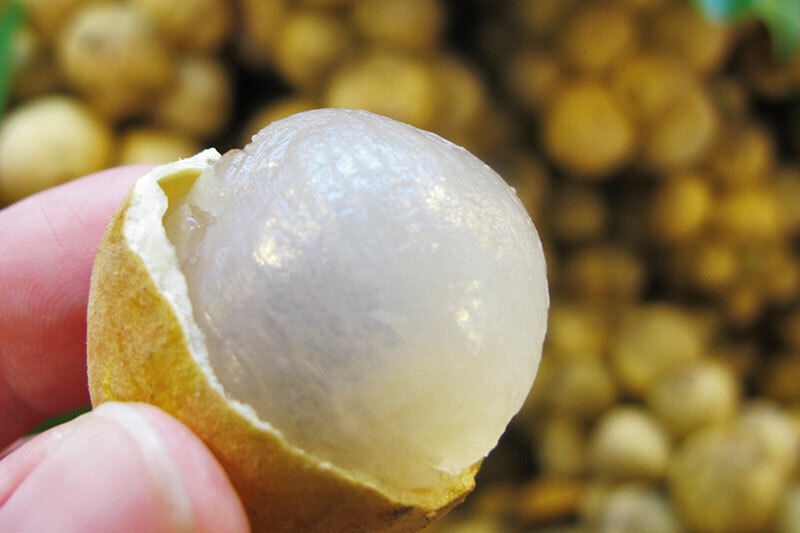 Of the tropical ‘stone fruits’ there are many; from the famously fragrant and plump lychee to the mangosteen and rambutan – both with a magnificent exterior contrasting dramatically with the smooth, creamy white flesh (mangosteen) and slightly translucent, sweet and sour oval (rambutan) fruit in the interior. Smaller fruits in the same soapberry family (sapindaceae) include longan, longkong and langsat. Additionally, although not in the same family but with large inedible seeds are the salak or snake fruit, sapodilla and the local plum mango also known as a marian plum, egg plum or ‘map rang’ and its twin ‘mayong-chid’ which is slightly bigger and sweeter. Resembling a golden egg with a thin skin, it’s best removed to revel the firm, sweet fruit similar in taste to the mango but with more juice. Just grab a kilo, sit yourself down and start peeling. Meanwhile, Thai pomelos are easily found in street stalls, grocery stores and worth seeking out on restaurant menus in the extremely tasty pomelo salad (yum son-o). 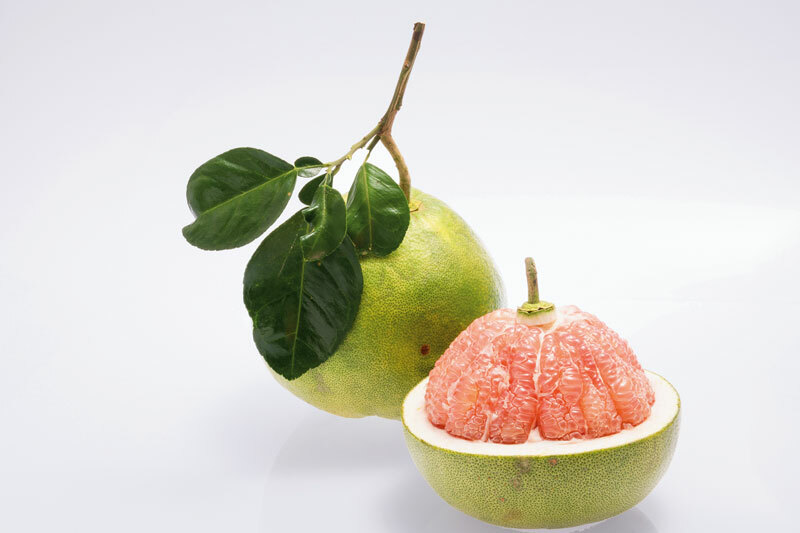 Not anything like a slightly sour grapefruit or juicy, sweet orange, the pomelo is somewhere in between and memorable for its deliciously pleasant citric balance and texture.